The co-founder of the Delhi Photo Festival is a man who has done it all, or at least most of it all. In the early years of his career, he sold calculators in Chawri Bazar, checked garments in a Faridabad factory and cleared tables as a busboy in an Upper Eastside bar in New York. All these, he feels, helped him in his work as a client servicing executive in advertising, which he did for 12 years, more than his Economics degree. And then in 1990, he succumbed to the call of the camera, which was in his genes. His father was a photographer too. The last 25 years have seen him involved in creating images for advertising, editorial and corporate clients, specifically in the area of food, still-life, people and interiors. His solo exhibitions include In my own World shown at Delhi, Mumbai, Kolkata, Bangalore and Varanasi, Living Faith exhibited at Delhi, Kolkata, New York and San Francisco, Colours – an Indian Language shown at the World Economic Forum, Davos, Switzerland. 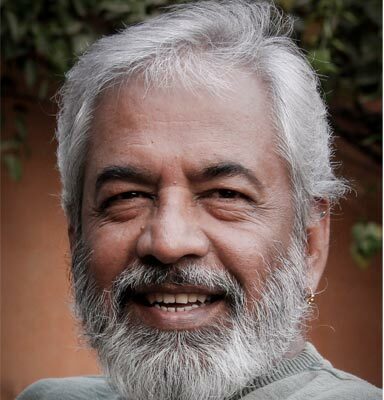 His group exhibitions are numerous and in addition to them he has also published three books – Bazaar, Living Faith and Right of the Line – The President’s Bodyguard, which was commissioned by the Rashtrapati Bhawan and Sahapedia. Dinesh is also the co-founder and managing trustee of Nazar Foundation, which has been set up to promote photography as an art-form. Photography is not just a profession and a passion for Dinesh but his means of understanding and feeling the world and life around him.